Since 2001. Beware Our Competitors! Completed in 3 business days or less! Pay for each job as needed. Perfect for legal or nostalgic purposes. 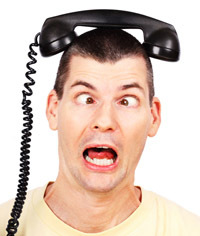 (NOTE: Our service will even work with visual voicemail on a smart phone but NOT on an IPhone! 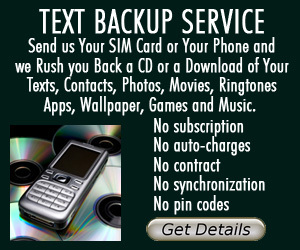 If you have an iPhone, please see about our iPhone Voicemail Backup Service. Want to do it yourself? Click here to learn how to permanently save voicemail to all by yourself! Otherwise, keep reading below if you’d like us to do it for you. How our Voicemail Transfer Service Works. When you place your order, we will gather some details from you. These details include specific information, including your voicemail or answering machine number, your password, how many messages you want to be recorded, etc. You must respond to this questionnaire so we can get started on your job. We LITERALLY will then call your number and digitally record your messages to our computer. From there, we can convert them to .mp3 if that is your specification, or we can burn them to a CD. We will leave the messages UNERASED on your service. After you receive your transferred messages, you will then be at liberty to erase your messages yourself. Same Price for Any Phone Number INTERNATIONALLY! We are able to access and back up messages from any phone number, in any country for the SAME PRICE. Works for Voicemail or Answering Machines. This service will work with any voicemail from ANY voicemail company. It will also work with any manual or digital answering machine. We will record any or all messages left on your voicemail. You can specify which messages that we are to record when you respond to the email that you get after placing your order. We Can Record Your Greeting (Outgoing Message) Too! Sometimes all you may need is the greeting. For example, a loved one may have just passed away and their voice on their voicemail greeting is the last thing you have of them! Being able to save their voice permanently to an mp3 or to a CD and to be able to listen to it whenever you want can be such a great comfort. If this what you prefer, then just select that option below. Then indicate on the email questionnaire (that you receive after you place your order) that you want the outgoing message ONLY and you don’t need to fill out your password information in this case. When placing your order, you will see many different options. You can select the time block that is appropriate for the amount of messages that you have. Please over-estimate the time!!! If you think you are cutting it close, you probably are, so please go to the next time block up. Select Format — CD or mp3. CD or mp3 — SAME PRICE! Below, you can select if you prefer the messages transferred to an .mp3 file and emailed to you or a CD and mailed to you. (Price includes free First Class Shipping). If you know how to burn CDs, you can order the mp3 version and then save money by making your own CD. Why would you choose CD or mp3? Each one has its benefits. if you want to send this to your friends and family but you don’t know how to “rip” a CD to convert so you can send it as an attachment, then you probably want us to make an mp3 for you. Another reason many people choose “.mp3” is because they are in a hurry for a legal purpose or something like that and they don’t want to wait for the US mail. If you just want to keep this forever and don’t know how to “burn” your own CDs, then you should probably have us make the CD for you and mail it to you. -IMPORTANT - Additional Options (PLEASE READ). Also, THE FASTER SERVICE OPTION DOES NOT INCLUDE MAILING TIME!!!!!! (We normally mail by US Postal Service First Class, Priority or Air Mail.) Expedited service means that we will do your job SOONER THAN NORMAL, but you still have to wait for mail time IN ADDITION to the time that it takes us to do your job. If you are in a real hurry, you should choose expedited service but don't order a CD. Instead, order the .mp3 version and you can burn your own CD on your end. One file or Separate files? Editing - Delete Phone Company Prompts? NOTE: If you chose “editing” then you do not need to additionally choose “separate files” (above) because the editing option naturally causes us to break each message into its own file. Number of Phone Lines to Access? We pride ourselves on our excellent customer service. Do you have an unusual request. WE CAN DO IT! For example, do you need the outgoing message of your old answering machine to be recorded onto the outgoing message of your new voicemail number? WE CAN DO IT! Let us know what special needs you have. We respect your privacy and confidentiality. WE WILL NEVER ALLOW ANY OTHER PERSON OR ANY OTHER AGENCY TO HEAR YOUR MESSAGES! We also will never, ever, ever give out your phone number or password information to anyone. By paying for this transfer service you are giving us permission to access your private voicemail or answering machine messages. We agree to use your private information to access your personal voicemail or answering machine and then never use this information again. In order to make the transfer you request, we must listen to it but we will not judge or comment on the nature of the message that you ask us to record. David and Cathy Feinauer own DLF Music and record-voice-mail.com in Cincinnati, Ohio. We searched for quite some time and we are proud and honored to have found people who like to do business the way we do (quality and integrity.) David has been our technician for many years and he will be the one to process the recording aspect of your order and his wife, Cathy will keep track of the paperwork. David's expertise in recording transfer developed from his personal love of music and a personal project of wanting to transfer a collection of 400 lp recordings to CD. Eventually, this blossomed into a state-of-the-art audio transfer service. NOTE: When you click the “buy now” button below, you will be taken directly to the record-voice-mail.com web site for ordering and processing your job. All pricing is based on the total time of the messages. The longer the time, the higher the cost. If your messages exceed 60 minutes, just pay for the 60 minute increment and we will do the job and then bill you for the extra time. After you click the “Buy Now” button, you will see all the pricing options. Need more voicemail capacity? Check out this cool way to store unlimited messages. 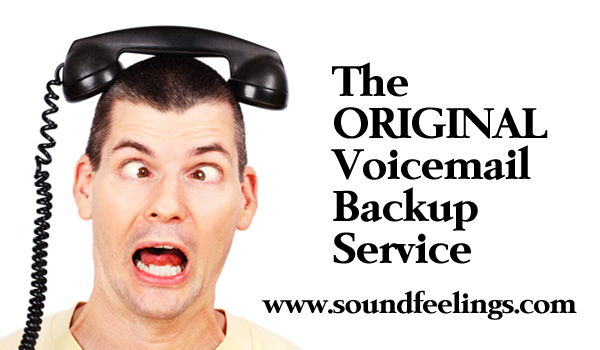 Works with your current voicemail to expand capacity in emergency situations. (For example, while your current voicemail is full and you haven’t yet backed them up, this solution will open up more message space while you’re dealing with the overflow.) No contract required!